Volkswagen has announced the return of one of its most popular models in the United States during the 60s and 70s. It is the mythical buggy of the German firm, yes, this time it will be a fully electric car. We will have to wait until the first week of March to be able to know all the details of this legend. The place chosen by Volkswagen to present to the public its new creation is the International Motor Show in Geneva, which this year celebrates its 89th edition. The new creation is inspired by the popular American buggies for dunes, but undoubtedly stands out for its electrical condition. And that is the new Volkswagen buggy will have the modular electrical platform MEB, demonstrating its versatility and versatility. This new prototype is a sign that the MEB platform of the German firm can be used in many models and not only in large-scale series production. “A buggy is more than a car. It is vitality and energy on four wheels. 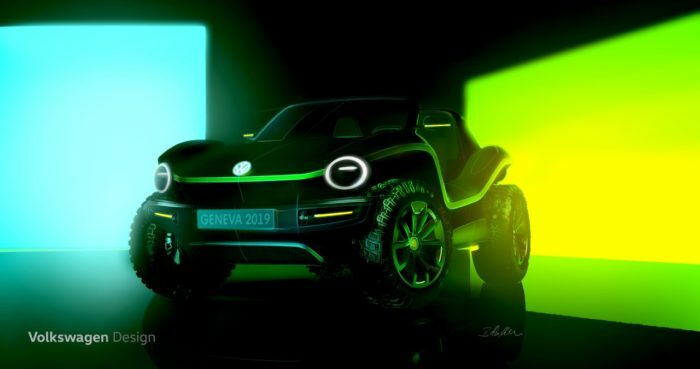 These attributes materialize in the new e-buggy, which demonstrates on the one hand the appearance that a modern and not retro reinterpretation of a classic can have, and on the other the emotional bond that electric mobility can create,” says Klaus Bischoff, Designer Head of Volkswagen. The new prototype of the 100% electric Volkswagen buggy is based “on the historic predecessors who found their home in California.” Therefore, its design remains true to the original style, lacking a fixed roof and conventional doors. Its four independent wheels with off-road tires and side sills mark the design of this new creation. Undoubtedly, the firm based in Wolfsburg has surprised everyone with this prototype, and with it reaffirms its position towards electric mobility. In the same way, it uses the new buggy to show the versatility of its MEB platform.